Bloomberg Law’s free 30-minute live webinars help students gain practical transactional skills. Most webinars start at 2 pm Eastern time. You’re familiar with the contract, but are you familiar with the deal? Transactional Practical Guidance will walk you step by step through the most common types of transactional tasks. What does a real contract actually look like? Find out by digging into Bloomberg Law’s Precedent Database, which contains over a million actual contracts and many millions of actual clauses. 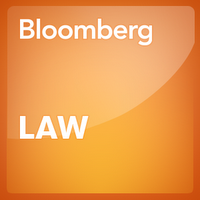 Monthly updates highlighting enhancements and new content on Bloomberg Law. You know how to research the law, but do you know how to research the parties? Learn how to find out all about corporate clients – who runs the company; how much money they make, lose, and borrow; who owns them and what companies they own; and so much more. A deep dive into the best way to research public corporations. They’re the biggest plaintiffs and defendants, and they strike the biggest deals. Whether they’re your clients or your opponents, you need to know everything about them to win. All webinars are recorded so you can watch at your convenience at a later time. Review the entire fall webinar schedule using your Bloomberg Law username and password.